The number of Chinese visitors to the UK in 2019 is expected to rise by 43% on two years ago. That’s according to figures from VisitBritain. As visitors from China are some of the UK’s highest spenders, spending on average £2,059 during their time here, it is no surprise that British attractions are keen to target them. In the week of Chinese New Year (5 February) Qa Research managing director Richard Bryan will be addressing a roundtable of industry CEOs at the UKinbound Annual Convention in Glasgow on what some of our research has discovered about the impact of targeting tourists from China. Ahead of the event, we have picked out a few of the success stories. With their sumptuous views and ancient history, the Highlands of Scotland have become a big draw for Chinese travellers. To help tourism businesses make the most of this, the Highland and Islands Enterprise development agency is holding workshops to offer practical advice – like creating picture menus. This is a terrific example of how to respond on social media. 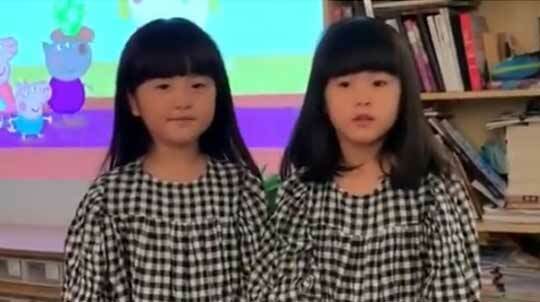 Five-year-old twins Mi Ai and Mi Ni, who live in Beijing, appeared in a video on Chinese social media platform Weibo and said how they adored Peppa Pig and would love to visit Buckingham Palace. It went viral – and British Ambassador to China Dame Barbara Woodward answered their call with her own video, inviting the family to Britain. And there’s an associated competition on video platform Youku which puts the UK even more in the spotlight. Tourism New Zealand partnered with Tencent to target advertising on WeChat at Chinese travellers – and set new click-through records. “By targeting active considers of New Zealand, people we knew were interested in New Zealand and were willing to spend a certain amount of money on a holiday, we were able to convert them to travel to New Zealand within their next two holidays,” says Kieran O’Donnell from the agency. So many Chinese tourists visit Scotts Fish and Chips near York that the restaurant translated its menu for Mandarin and Cantonese speakers. The popularity of the dish among visitors dates back to 2015 when Chinese president Xi Jinping shared one of each with then Prime Minister David Cameron. Now Scotts is spreading the message on Chinese social media. What’s the mandarin for haggis? Still with food, an Edinburgh cookery school has created tailored demonstrations and tastings for the influx of visitors from China, keen to find out more about Scottish cuisine. They will have the opportunity to taste haggis and sample local Scottish craft beers before finishing the experience with a dram of malt whisky.